Originally reaching as far as North Carolina, Illinois, and Texas, the range of the Ivory-billed Woodpecker had shrunk considerably by 1885. Confirmed sightings in the 20th century were confined to only a handful of locations. James Tanner studied the bird from 1937 to 1939 in the Singer Tract, where artist Donald Eckelberry painted the last Ivory-bill five years later. The 2002 search was conducted farther south, in the Pearl River Wildlife Management Area and the Bogue Chitto National Wildlife Refuge. Did Ivory-billed Woodpeckers make the sounds and do the bark scaling reported by searchers in the Pearl River swamp? It was March of 1973. I was canoeing the Noxubee River from Brooksville, Mississippi, about 20 miles south of Columbus, to the river’s confluence with the Tombigbee River in Alabama. The Noxubee was at flood stage, making canoeing difficult because of the current and floating debris. It was about 10 a.m. when the large bird flew from on or near the ground in mature forest and through the woods, paralleling the stream about 50 feet ahead of me. It was a very large woodpecker — of Pileated size or larger — but the trailing edge of its wings was white. I only saw the bird heading away from me; I heard no calls. Repeated trips to the area over the next several weeks were fruitless. On several later occasions I have had similar “butterfly” impressions of Red-headed Woodpeckers as they flew away from me — impressions that made me realize that the much smaller Red-head has a wing pattern similar to that of the Ivory-bill. The whiteness of the inner wing feathers can play a trick with the mind: as the bird flies away, you see only the white — shorter, butterfly-like wings. On March 29, 1987, my student Malcolm Hodges and I were near the old mouth of the Yazoo River in mature bottomland hardwoods not far from Vicksburg, Mississippi. We had begun at dawn, walking 15 minutes, stopping, playing an Ivory-bill recording for 45 seconds, listening for three minutes, and then moving on. Arthur Allen, Paul Kellogg, and colleagues from Cornell University had made the recording in 1935 at a location just to our west, in the Singer Tract along the Tensas River in northeast Louisiana. While among the earliest of bird recordings, the sounds of common birds on the tape provide assurance of its fidelity. Allen studied the Ivory-bill in the Singer Tract and his student, James Tanner, did his doctoral research with the birds. We were impressed with the habitat. About 11 a.m. we came to an area with very large trees. Some had trunks exceeding 40 inches in diameter; others were recently dead. I commented to Malcolm that based on descriptions in Tanner’s dissertation, this was the best habitat I had seen. I played the tape — and waited. After about a minute, Malcolm became visibly excited, whispering loudly, “There it is! Listen, it’s coming this way.” I heard nothing. Another minute passed, all the time Malcolm indicating that the bird was still calling. Then I heard it. A bird was giving the same call that was on the tape, and it was coming toward us from the southeast. The bird continued to call but stopped its approach perhaps 150 yards from us. We waited, hoping that it would come closer, but it remained in the distance, still calling. We had to get close enough to see it and photograph it, and moved forward — but the bird was gone. Later, perhaps half a mile from our “perfect forest,” a Blue Jay responded to the recording, giving similar calls but always ending with a typical Blue Jay note. We searched throughout the remainder of the day and on subsequent trips but found no Ivory-bill. Within a year, over a million dollars’ worth of timber was removed from the area. I had visions of the last Ivory-bill flying over the devastation just as artist Donald Eckelberry had seen and painted the last known Ivory-bill, a female, in the Singer Tract in April 1944. I thought that having a Blue Jay imitate the Ivory-bill’s call might in itself indicate the presence of Ivory-bills. But weeks later I stood in a friend’s backyard in New Jersey as a Blue Jay gave the same call — outside the range of any Ivory-bill and in the absence of taped calls. Then the New Jersey Blue Jay lapsed into more typical Blue Jay notes. Last seen: Around 1900; assumed extinct because it was known from just a few records in the Pennar and Godavari river valleys. Rediscovered: Sighting reported in July 1994. Scientists confirmed the bird’s existence in February 1998. Present population: 25 birds were located during a 2000 survey. 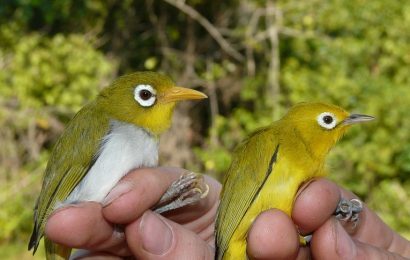 Population may be as high as 250 birds. In the months of February and March 1988, I had another close encounter with the Ivory-billed Woodpecker — in the mountains of eastern Cuba. I heard the birds on eight days during a month of searching there, and on March 4, I got about a three-second glimpse of a black-and-white bird that to me had to be an Ivory-bill — a most elusive will-o’-the-wisp! 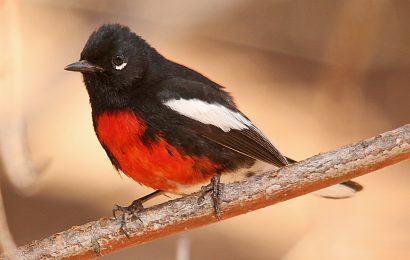 David Kulivan was not searching for Ivory-bills in April 1999 when he saw birds that he identified as Ivory-bills in the Pearl River swamp of southeast Louisiana. Kulivan, a graduate student in forestry at Louisiana State University, was taking a break from his studies to hunt turkeys in the 35,000-acre Pearl River Wildlife Management Area. Sitting at the base of a tree, dressed in camouflage, waiting for a gobbler to strut into view, he was startled from his reverie by two large woodpeckers that landed on a water oak about 25 yards away. He was convinced of his sighting and a few days later shared it with professors at LSU. They believed that the birds might truly have been Ivory-bills, and small search efforts were organized. Then, in January 2000, the efforts received media attention and the birding world responded. Dozens of birders made the pilgrimage to search for the elusive Ivory-bill. More than 30 volunteers at a time were in the field simultaneously. In February 2001, biologists from the Louisiana Department of Wildlife and Fisheries flew transects over the Pearl River swamp following a predetermined course with guidance from other researchers on the ground. They found no evidence of Ivory-bills. Negative results and word of tantalizing glimpses of big woodpeckers were posted on the Internet. T-shirts and caps adorned with Ivory-bills were sold to support the efforts, entrepreneurs, and the dreams of searchers and would-be searchers. I had been puzzled by the lack of Ivory-bill records from the Pearl River basin, but the history of the area provided insight. This great forest was important as a source of wood and fuel for the city of New Orleans in the early 1800s. Then, for many years in the last quarter of the 19th century, it was one of the most important lumber centers in the United States. Lumber from the Poitevent and Favre Lumber Company at Pearlington, Mississippi, was used to build the L & N Railroad, which was completed in 1872, and to build jetties at the mouth of the Mississippi River. In 1895, a Pearlington mill was billed as the largest in the world. By 1900 one of the mill owners had become known as the “Lumber King” of the South, the title resulting from worldwide sales of lumber from the Pearl River area. In short, it seems likely that there are no Ivory-bill records from the region because lumber mills caused the destruction of the bird’s habitat before anyone was particularly interested in documenting that the woodpeckers existed. Only now have the protected areas of the Honey Island Swamp, Pearl River Wildlife Management Area, and Bogue Chitto National Wildlife Refuge reached a state of maturity that might once again be capable of supporting Ivory-billed Woodpeckers. When I had my possible encounter with the Ivory-bill near the mouth of the Yazoo River in 1987, I thought it made sense. Ivory-bills in the Singer Tract in the 1940s either died there or went somewhere else. I preferred to think that they moved on. 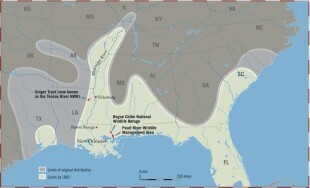 As the Ivory-bill flies, the swamp forests near the junction of the Yazoo and the Mississippi were not much more than 30 miles from the Singer Tract, and at the time, a corridor of continuous forest habitat lay between the two areas. If the woodpeckers’ descendants were at the Yazoo site in the 1980s when much of the forest was cut, perhaps they somehow made it the 150 miles or so south to the Pearl River. The intervening area is very forested, and the Pearl River swamp offers some of the best Ivory-bill habitat available. If a Red-cockaded Woodpecker is able to find its way from the southeastern United States to the Chicago area — as one recently did — such a trek would be easy for a bird like the Ivory-bill. With some credence given to Kulivan’s 1999 report, timber cutting was stopped in the area and plans were made for coordinated and systematic searches. Carl Zeiss Sports Optics stepped in and offered to fund two exceptional searchers for a 30-day effort. Excitement grew as birders competed for the two positions. Then the decision was made to expand the team to six searchers working in three teams. At least three of the people selected had studied woodpeckers during doctoral dissertation studies. All were accomplished birders. Each brought different strengths to the field. Logistical support was provided by the Louisiana Department of Wildlife and Fisheries, the Cornell Laboratory of Ornithology, the U.S. Fish and Wildlife Service, and U.S. Forest Service. The 30 days afield were grueling, and regular Internet postings kept the excitement and anticipation level high. Results of the search were announced at a press conference on February 20. Team members neither saw nor photographed an Ivory-bill. Nor did they hear the bird’s distinctive nasal kient notes — a sound likened by Audubon to that of a child’s tin horn. The searchers did record powerful hammering sounds that they attributed to a woodpecker pounding on wood, but the cadence seems wrong for an Ivory-bill, although sounds not recorded were reported to be more like the Ivory-bill’s double-rap. Very large woodpecker cavities were found; so too was extensive scaling of bark from trees, a characteristic associated with Ivory-bills, but to a lesser extent also with Pileated Woodpeckers. And the various bits of evidence seemed to be concentrated in the same area. Scientists from the Cornell Laboratory of Ornithology have established electronic listening posts in the swamp, and they now have days of recordings to analyze, but as yet, no firm evidence of Ivory-bills. Results of the search thus far don’t resolve the question: Are there Ivory-bills in the Pearl River swamp? But what if the presence of Ivory-billed Woodpeckers had been confirmed? Should the Pearl River WMA have been made off-limits to humans? I don’t think so. The habitat that exists today is there because people wanted it there. The hunting and fishing public, and to a lesser but growing extent the birding public, are the reasons the Pearl River WMA and the Bogue Chitto NWR exist. I heard from one colleague in Louisiana who said a collective sigh of relief was breathed after the birds had not been found, since it was feared that hunting would be stopped and access ended. The public has used the area heavily for generations. If Ivory-billed Woodpeckers are present, they have coexisted with a high level of human intrusion. Efforts to monitor the birds would be required, public education would be essential, and limits on direct disturbance to the birds would be needed. But this is not a friendly environment, and locating the birds is not easy – indeed, thus far it hasn’t been done! A bird like the Ivory-billed Woodpecker in a forest so vast and inhospitable is not just a moving needle in a haystack, but an evasive moving needle in a flooded haystack. The combined Pearl River WMA and Bogue Chitto NWR encompass about 109 square miles. Tanner considered Ivory-bills to need about six square miles of living area per pair. Thus at best the area might support about 18 pairs of Ivory-bills. 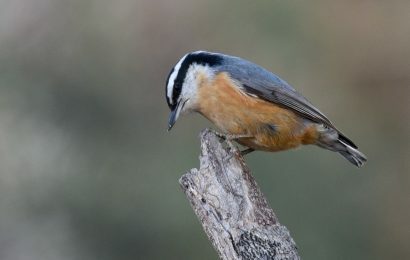 Population biologists would scoff at a species’ prospects for survival when numbers get so low, since 500 breeding pairs might be needed for any kind of population stability. And this isn’t going to happen. But does this mean that all these efforts are in vain? No. The Ivory-bill has taken on almost mythical proportions as a symbol of an ecosystem that supports countless species that have yet to seize our imagination. We humans thrive on hope and can do wondrous things when we have hope. This search for the Ivory-billed Woodpecker has given us hope, as did searches for Ivory-bills in Cuba a few years ago. Other species such as the Bermuda Petrel have been brought back from the very brink of extinction through human efforts. Even with the Ivory-bill, a species that may not lend itself to captive breeding as easily as Peregrine Falcons or even California Condors, we should not underestimate human resolve. And if the Ivory-bill is truly gone, its ghost can still teach us that old trees, dead trees, and vast wild areas have values not even dreamed of. The methods of science are clear. Scientific progress is made on the basis of data that are unequivocal to other scientists. Did I see an Ivory-billed Woodpecker along the Noxubee River in Mississippi in 1973? Did I hear an Ivory-billed Woodpecker near Vicksburg in 1987? Were those Ivory-bills I heard and saw in Cuba in 1988? Did David Kulivan see Ivory-billed Woodpeckers in the Pearl River swamp in 1999? Did Ivory-billed Woodpeckers make the loud “bams” heard by searchers there? Did Ivory-bills scale the trees that the team photographed? Perhaps. Perhaps not. Jerome A. Jackson is Whitaker Eminent Scholar in Science at Florida Gulf Coast University and an expert on the Ivory-bill. He served with ornithologists Lester Short and James Tanner on an Ivory-billed Woodpecker advisory committee appointed by the U.S. Fish and Wildlife Service in 1986. He has searched for the woodpecker throughout the southeastern United States and, during a five-week expedition in 1988, in Cuba. He was also on the official planning team for the recent search in Louisiana. He also has a book, In Search of the Ivory-billed Woodpecker.